Work: it’s a fact of life. Since graduating from college I have always been employed by someone else – then, a couple of years ago, I was “downsized” due to the economy. After getting over the initial shock, I took losing my job as a sign to finally fulfill my dream of becoming a freelance writer. 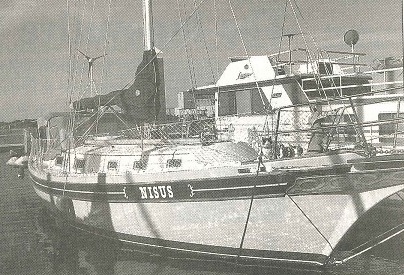 It was also during this time that my husband, Marc and I decided to sell our home, buy a boat, a 36′ Bayfield sailboat named Nisus, and become, along with our four cats and two dogs, full-time liveaboards. Being self employed helped tremendously with the transition from land-based home to boat. 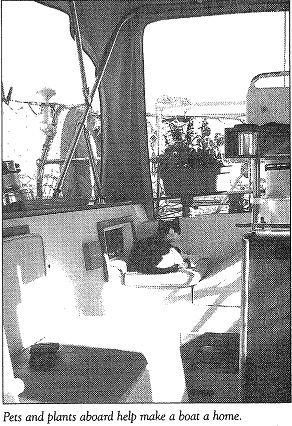 As a writer my schedule was flexible enough that if we had a boat emergency I could handle it without having to explain bilges or pumps or 12-volt electrical systems to a landlubber boss. 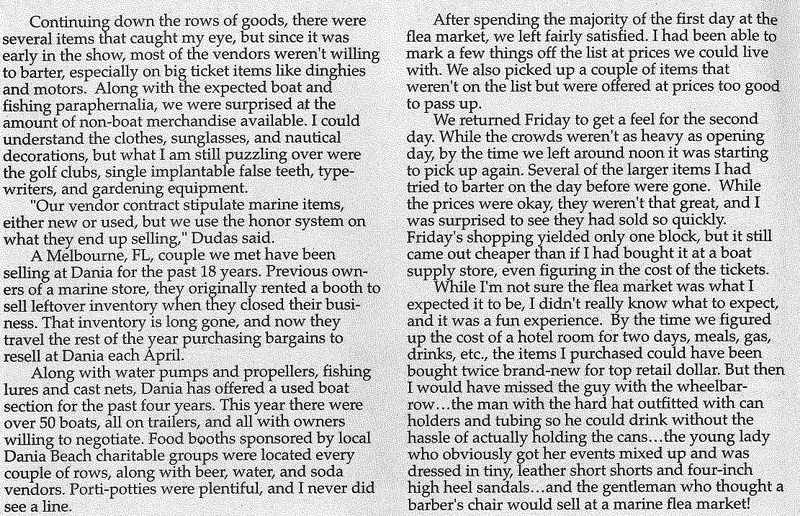 While I wasn’t making the kind of money I had in the past by reducing living expenses we were doing OK. Until Marc, lured by tales of sailing the seven seas, came home one day to announce that he was tired of sailing the Charleston Harbor and surrounding lntracoastal Waterways and wanted to get started on our plan of sailing to Cadiz, Spain where we had friends. While that was our original plan I had become content living at the dock with all those modern conveniences shore power provides. Plus, leaving Charleston would mean that while I would still be self-employed (a writer can write anywhere), Marc would be unemployed, putting a crimp in our lifestyle. After much discussion I agreed to go back to work full-time for someone else in order to finance our voyage. Now came the hard part – not actually finding a job-that was a snap – but the logistics of returning to a set schedule and looking presentable while doing so. While Nisus has an almost full-sized bathtub I still use the marina shower every couple of days to wash my hair. A six-gallon hot-water heater and hand-held shower nozzle just doesn’t work well on thick, shoulder-length curly hair. Our marina has very limited facilities, and while there aren’t many liveaboards, one shower still isn’t enough when you have a couple of people trying to get to work at the same time. In the past it wasn’t a problem since I set my own hours. But now I had to be on time and professionally dressed, since I come into contact with other employees as well as the general public. I finally learned everyone’s schedule, and as long as everyone sticks to their routine things are fine. God forbid if we get a transient docked at the marina for a couple of days, especially an early riser! When I lost my job and then moved onto the boat I donated the majority of my professional wardrobe to a local organization that helps dress low-income women transitioning from welfare to the workplace. Being self employed, my normal office attire was shorts and t-shirts when it was hot and jeans and sweatshirts when it was cold. Now I had not only to purchase a working wardrobe, I also had to find some place on the boat to store it and a way of maintaining it. Nisus has two hanging lockers, one in each stateroom. 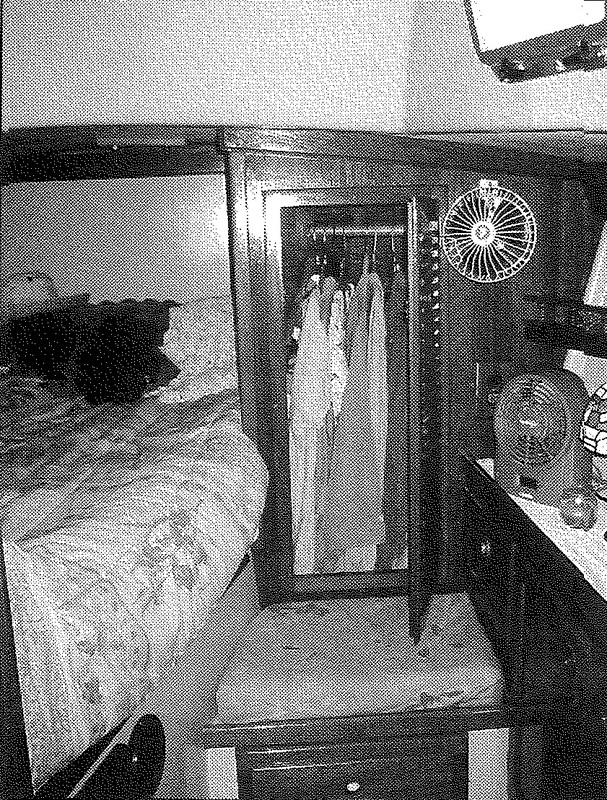 The locker in the aft stateroom was built to fit from the underside of the side deck to the floor, but when we had a Cruise-Air heating and cooling system installed, the duct-work into the main salon was run throught the bottom of that locker. 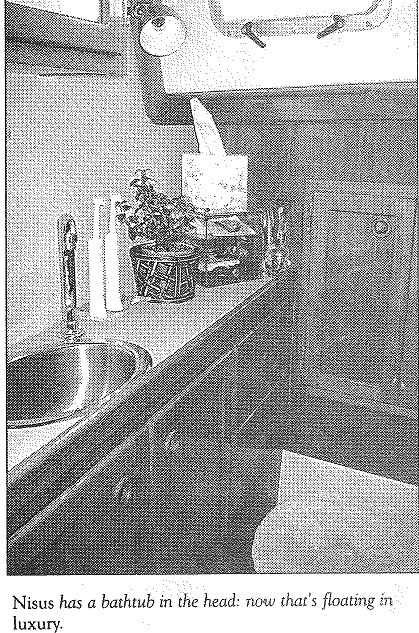 Now the inside height is approximately the same as the one in our stateroom, which was built from the underside of the top deck down to a nice and convenient built-in bench. Great for sitting down to tie your sneakers, but it doesn’t do much in the way of keeping dresses from becoming wrinkled. And speaking of shoes, where does one keep shoes on a boat? 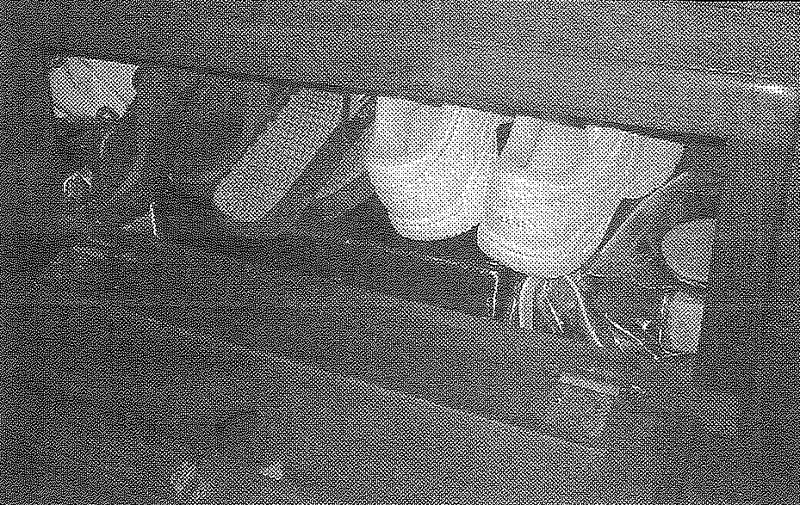 When not on my feet, my boat shoes are in plain view in the stateroom, while the rest are stored under one of the salon seats. Since the majority are leather, they have to be checked periodically for mold and mildew, cleaned, and then repacked. 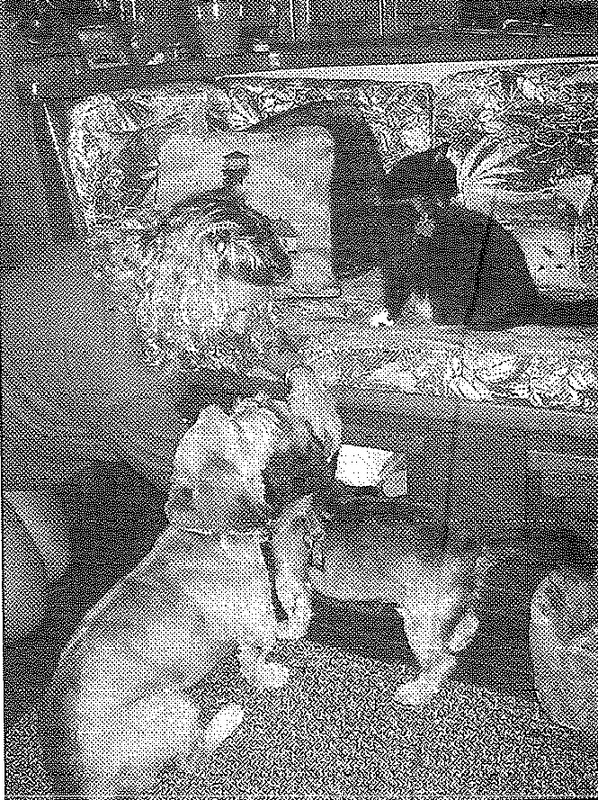 Plus, you haven’t really lived until there you are, all dressed up, hair and make-up perfect, clothes neatly pressed, crouched down on all fours with two dogs and four cats wanting to help while you search in a space 8 inches high for a shoe to match the one in your hand. I finally purchased several pairs of lightweight knit pants with matching tops and a couple of dresses in a rayon-poly blend. All are easy to care for, machine washable and basically wrinkle-free; though l did invest in a small compact iron for those quick touch-ups. The hanging locker in our stateroom is spacious (wide) enough to accommodate my new wardrobe. After hanging the dresses, using clothes pins, I take the hems and pin them even with the shoulders to minimize wrinkling. 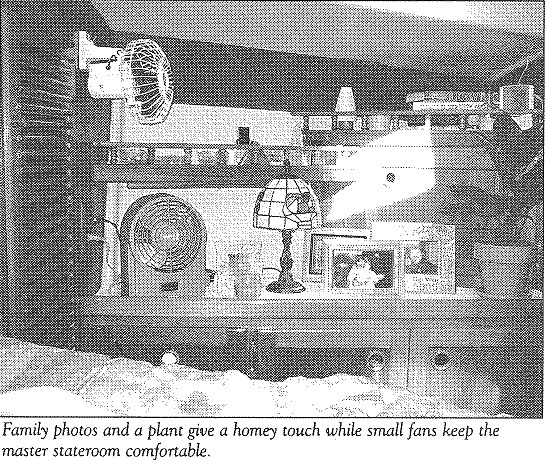 Then there was the lighting issue. 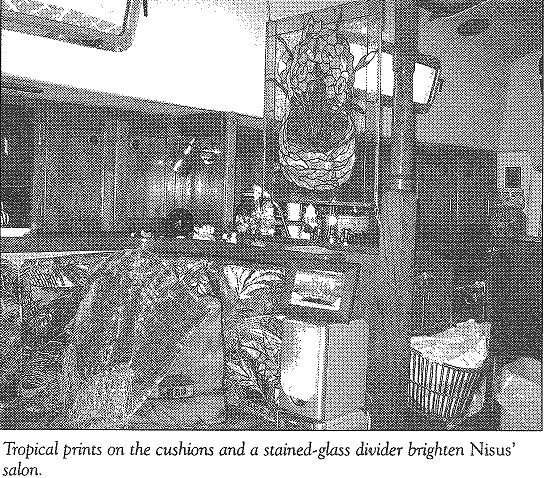 Nisus has two lights in the head – one over the bathtub, and one next to the sink. Unfortunately, even with both turned on they don’t provide the necessary light needed for things like applying eye makeup or shaping eyebrows. 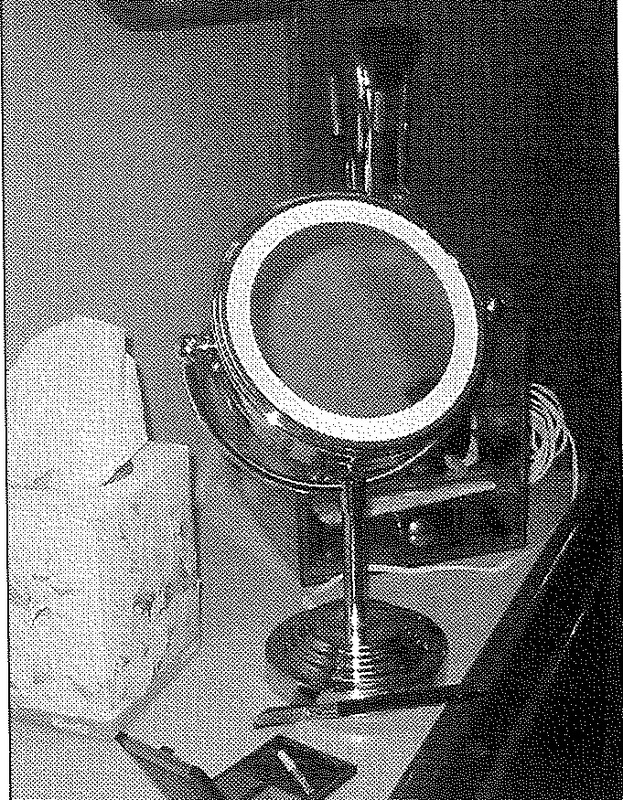 One day at Wal-Mart I discovered a small round lighted make-up mirror that can run off either batteries or shore power. It’s compact size is perfect for the boat, plus the wattage provides more than enough light needed for applying mascara or blush. Six weeks passed and things had been going pretty well when I had to face what I had been dreading. I woke to the sound of rain. Not just a drizzle, a pounding, gully-washing downpour! Thank goodness it wasn’t hair washing day, but I still had problems since it’s a 1,200-foot walk down an uncovered dock to my car. I lay there in my nice, warm, dry berth weighing my options; (a) I could call in sick. No, hadn’t been on the job long enough for that. (b) I could just go in late. See a. (c) I could quit. No, then I would have to face the husband. (d) I could get up, get dressed, and make a run for it. Being responsible, I chose d. Even with foul- weather gear, I was still pretty damp by the time I reached my car. But worse was yet to come: it rained the following 10 days in a row. By about day five I was beginning to believe going to work looking half drown was normal! So far I have dwelled on the practical aspects of working full time and living on a boat. While sometimes the logistics have been difficult, the hardest transition for me has been the loss of personal time and the freedom to set my own schedule. I used to think nothing of starting my daily writing before the sun rose in order to have the afternoon off for a leisurely sail. Or, if I didn’t have time to make my weekly trip to the Laundromat, no problem, I would just dig out another t-shirt. That’s no longer an option. I have also lost that special time sitting in the cockpit with a steaming cup of coffee watching the sun rise. I know it will all be worth it in the long run. The closer we get to our goal of a long voyage, the more excited Marc becomes, and his exuberance is contagious. I am beginning to look forward to casting off the bowlines and sailing into the sunset, if for no other reason than I will again be my own boss and waking to the pitter-patter of raindrops will be nothing more than an invitation to roll over and go back to sleep – unless, of course, it’s my turn on watch. Lee Ann Carter has recently been published in South Carolina Homes and Gardens, Southwinds Sailing, Charleston Home Design and The Charleston City Paper. 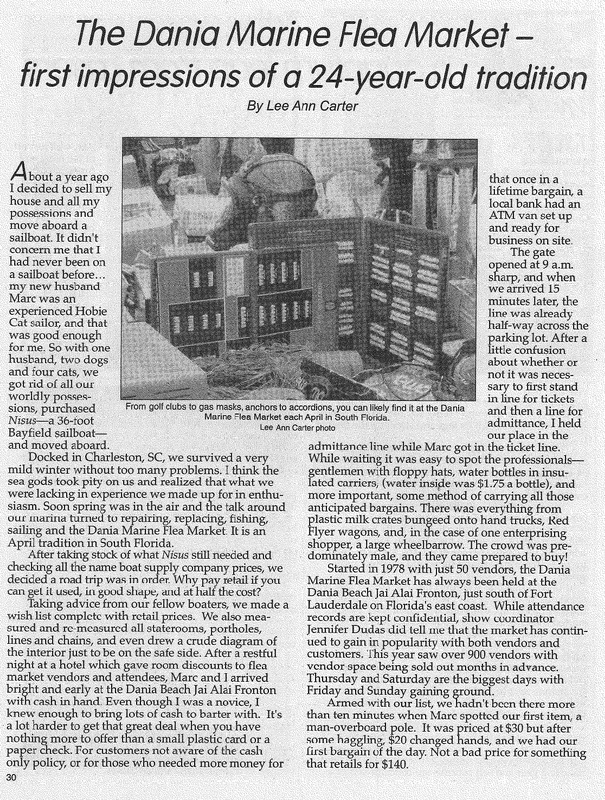 This entry was posted in Living Aboard Magazine, Magazine Articles and tagged Bayfield, Charleston SC, Lee Ann Carter, Living Aboard, Nisus on May 1, 2011 by Lee Ann Carter.